There is a film genre commonly known as the "Christian movie," or faith-based film. 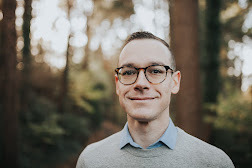 It's a genre both beloved by its followers and ridiculed by its critics, known for its heavy-handed messages, saccharine sentimentality, mediocre production value, and troubling theology. 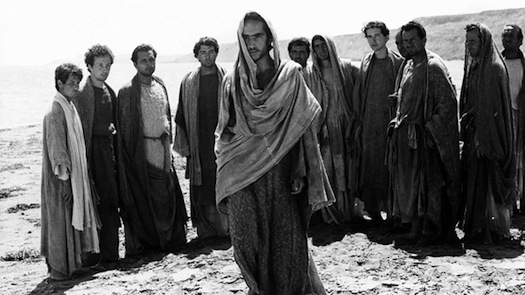 I explored the theology behind Christian films in this essay. A Man for All Seasons (1966, Zinnemann). What is a man to do when one's vocation and personal convictions collide? It's a timely question in light of recent political upheavals and outcry about the nature of marriage, abortion, immigration, health care, and other social justice issues in our nation and world. 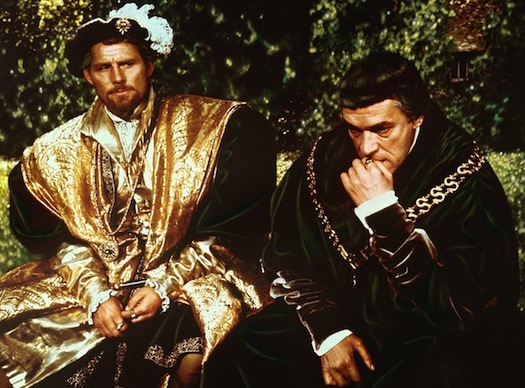 Frank Zinnemann's excellent adaptation of the play by Robert Bolt examines this question through the story of Sir Thomas More (Paul Scofield), a devout Catholic and man of integrity who refused to support the divorce of King Henry VIII, ultimately costing him his career and his life. The Best Picture-winning film features a smart, thrilling script and a phenomenal performance from Scofield as a man wrestling with his conscience and duty. 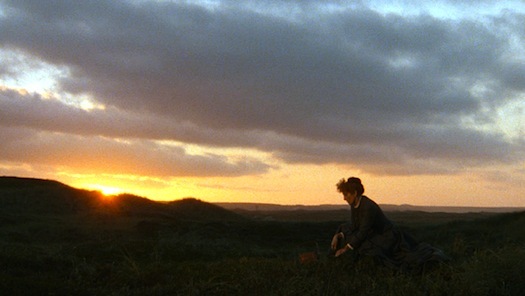 Babette's Feast (1987, Axel). Two devout religious sisters living in an isolated village in 19th century Denmark take in a French refugee, Babette, as their new housekeeper. When Babette unexpectedly wins the French lottery, she does something for the village they never expected--she throws them a huge banquet with lavish ingredients and exemplary dishes. The sisters and villagers, who live strictly religious lives in an attempt to overcome their own hypocrisy and temptations, ultimately succumb to the radical grace embodied by Babette. Babette's Feast invites viewers to see the remarkable grace of God that goes beyond any religious moralism or duty. 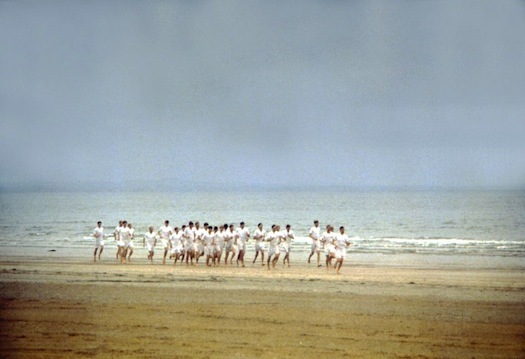 Chariots of Fire (1981, Hudson). A film about friendship, courage, and faith, Chariots of Fire focuses on two British athletes in the 1924 Olympics, one a Jew and the other a devout Christian. Recognized for its synth soundtrack by Vangelis, Chariots explores the meaning of vocation and personal conviction as runner Eric Liddell struggles to reconcile being an athlete with his Christian beliefs, summarized in this quote: "I believe God made me for a purpose, but he also made me fast. And when I run, I feel His pleasure." The Decalogue (1989, Kieslowski). 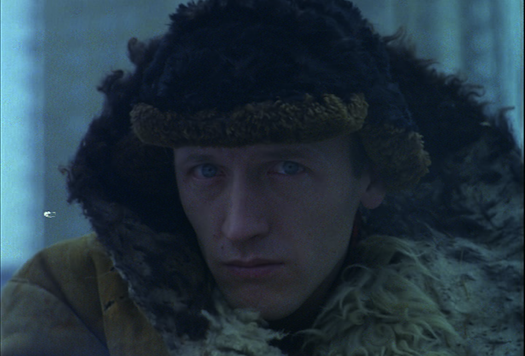 A ten-part series of films originally made for Polish television, Kieslowski's magnum opus is loosely inspired by the Ten Commandments set in a modern-day perspective. Each one-hour episode explores the spiritual and moral dilemma of characters living in or around a particular neighborhood in Warsaw, Poland. Stark and melancholy, The Decalogue invites viewers to wrestle with their own ethical worldview in light of the characters' actions and choices. Roger Ebert listed The Decalogue as one of his all-time favorite films, and it's certainly worth exploring. Into Great Silence (2005, Groning). 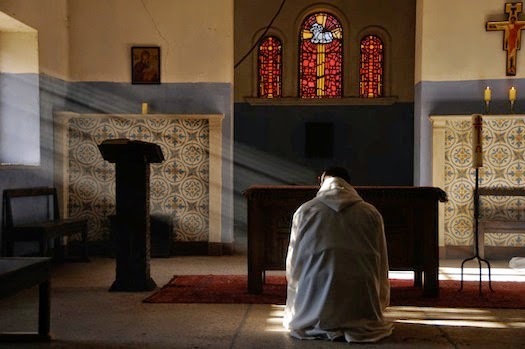 A three-hour documentary about Carthusian monks silently praying requires serious discipline and intentionality to endure. But that's exactly the point. 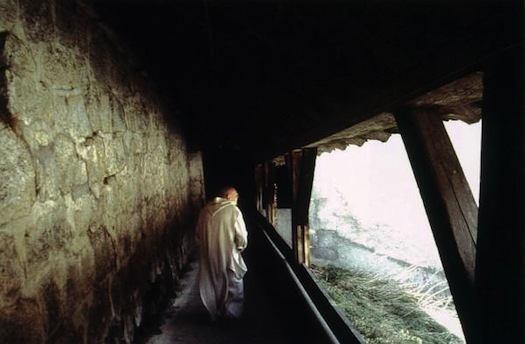 These monks are so enraptured with God, so in tune with His presence, so eager to hear from Him and recognize His voice, that they live in complete silence for much of their lives. The intimate, delicate film is nearly silent itself, using only natural lighting and no soundtrack in order to document the rhythm of life for these monks. The beautiful surprise: these monks are not boring or dull or dreary, but are joyful and light-hearted men, transformed by their experiences with Christ. 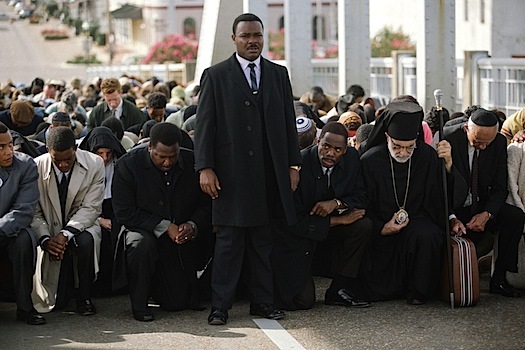 This is a true and beautiful Christian movie about prayer. The Miracle Maker (2000, Hayes, Sokolov). A British claymation movie about the life of Christ, The Miracle Maker is delightful, entertaining, and inspirational in its approach. Jesus (voice by Ralph Fiennes) is both approachable and powerful, embodying the nature of the human and divine in a manner rarely found in on-screen Christs. A composite of the four Gospel accounts, Miracle Maker is probably my personal favorite when it comes to Jesus films due to its accessibility and depth, making it a fantastic filmic introduction to the life of Christ for all ages. 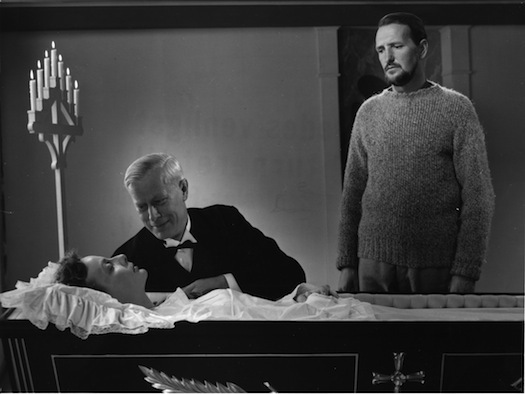 Ordet (1955, Dreyer). Dreyer's films are parables of faith, and Ordet is exceptional in its exploration of Christian theology and the pragmatics of faith. Ordet tells the tale of Morten Borgen, a wealthy farmer with three son at varying levels of faith. One is an agnostic, rejecting the strict religious upbringing of his family. The second has gone bonkers from too much theological study--particularly in reading Kierkegaard, which feels like a theology joke from Dreyer--and now wanders around claiming to be Jesus. The youngest has remained faithful, but has disappointed his father by falling in love with a young woman whose family's Christian faith doesn't adhere to Borgen's rigid beliefs. Each man's faith is tested and transformed, leading to an affecting climactic ending. Beautifully shot and with a compelling script, Ordet explores the depths of the Christian faith with pathos, nuance, and grace. The Passion of Joan of Arc (1928, Dreyer). 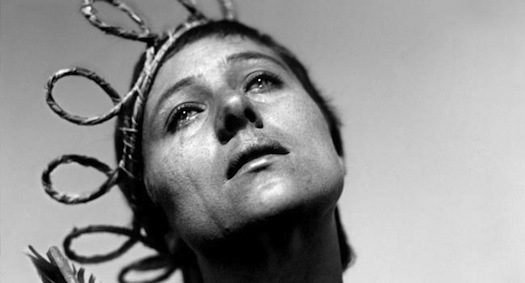 This phenomenal, haunting silent film focuses on the martyrdom of Joan of Arc at the hands of the French religious elite. Often celebrated as one of the best acting performances of all time, Maria Falconetti as Joan the mystical saint is depicted in stark close-ups, her eyes and facial expressions conveying the myriad of emotions she experiences over the course of her trial. The parallels between Joan and Christ are striking, and Joan embodies what it means to be a martyr: a witness for Christ. Following Christ means taking up one's cross, and The Passion of Joan of Arc reveals this aspect of discipleship in all its agony and glory. 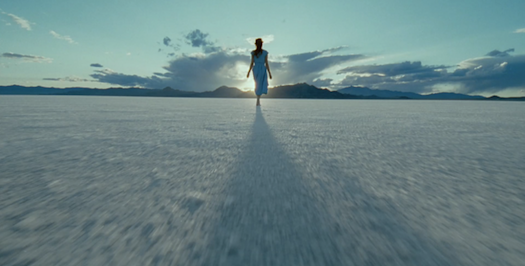 The Tree of Life (2011, Malick). An expansive, ambitious film that is both transcendent and intimate, much like the incarnate God embodied in Christ. Opening with a quote from the book of Job, the thesis of the film is clear: this is an exploration of the ways of nature and grace, the harsh realities of our world and the beautiful moments of love. The Tree of Life focuses on the memories and experiences of a family in Texas--the three boys, their mother and father--through episodic images, dreamlike and ethereal. Their story is set in contrast with the creation of the universe and the end of the present age, resulting in a resurrection and the new heavens and earth. Haunting voiceovers--prayers?--provide spiritual narration over the images, and the entire film is a symphonic hymn to the good Creator. I think I can admit this by now: The Tree of Life is my all-time favorite film, an imaginative, wondrous, divine cinematic experience. What films would you add to the list? Share you favorite films about Christianity in the comments.